With alpine height, the Broome Tallboy Dresser has a profile that is at once sleek yet spacious. The five latte walnut veneer drawers with brushed steel drawer pulls fully-extend on European-style soft-closing runners, while the distressed HPL concrete shell gives this dresser an unmistakable urban appeal. 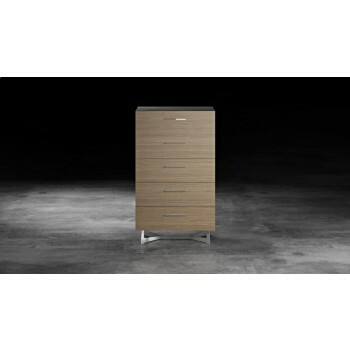 Lift it all onto a set of joined brushed steel legs, and you have a solid dresser for your modern apartment.